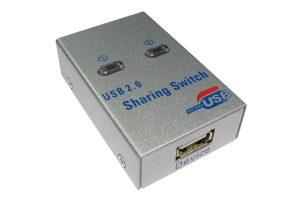 Our USB Share Switches are designed to share a USB Printer between 2 PCs. Primarily used for printer sharing, these intelligent switches can also be used to connect up to 128 different USB devices. This switch has 2 USB type B connectors and 1 USB type A connector. This high quality USB extension lead complies fully with the USB 3.0 specification allowing data transfer speeds of up to 5 Gbps. USB 3.0 SuperSpeed Compliant Full Duplex cable capable of transfer rates up to 5 Gbps Backwards compatible with USB 2.0 devices Double shielded construction Fully moulded USB Type A Male to USB Type A Female Length: 5m 10 year warranty USB 3.0 A to B cables are also available.